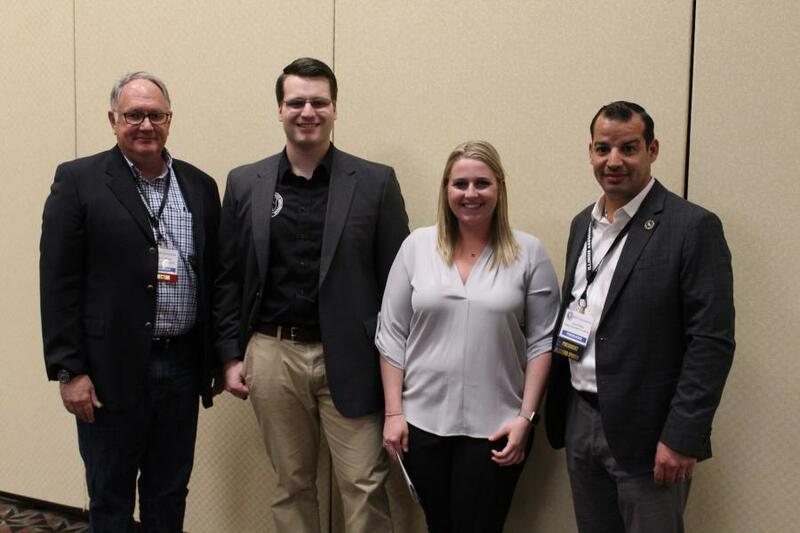 IAAP 2019 scholarship recipients Rich Howser (second from L) and Kensington Kissel (third from L) pose with Hugh Gallivan (L) of Mid-America Sand & Gravel, chair of the IAAP’s Education Foundation, and Aaron Ozinga of Ozinga Materials & Logistics, IAAP president. Not pictured are scholarship winners Abigail Knight, Joshua Malone and Madeline Meyer. Five Illinois students have been selected to receive IAAP Education Foundation Scholarships for 2019. The recipients were announced at the annual IAAP Convention, which was held in Springfield, Ill., March 5 to 7. Madeline Meyer, Joliet Township High School, who will choose a university soon and plans to study environmental science or engineering. Howser, the recipient of the Frank Geske Memorial Scholarship for 2019, will receive an award of $3,000. The IAAP Education Foundation Scholarship Program is intended to strengthen the Illinois aggregates industry by promoting the education of worthy students seeking a career with producers of crushed stone, sand and gravel. The scholarship also intended to enhance the relationship between the IAAP and institutions of higher learning that are educating the next generation of aggregate industry professionals.